It is a pleasure to announce this band! Legendary iconic old school grind core blast from Pardubice. Who would not know NEEDFUL THINGS! The band that was present at the birth of the Obscene Extreme Festival and even played at its first volume in 1999. So, it makes sense to have their set in 2018 at the OEF's "Back to 1999" again. 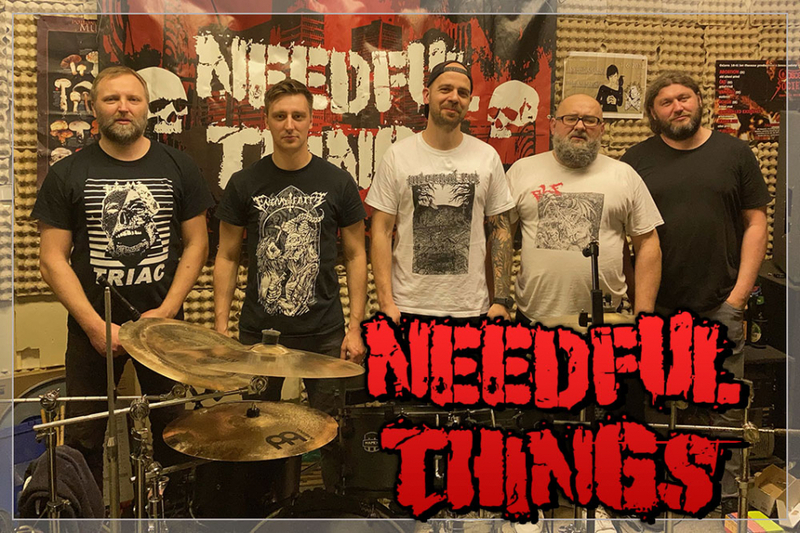 The formation of NEEDFUL THINGS goes back to 1995 and not only a lot of time has passed since but this squad has still a lot to offer even after more than 20 years. They are still a great inspiration to many beginning grind bands and are still productive as for new and brutal recordings. Their latest plans for a split record with the bands such as Overviolence or Nervegrind be the proof!! !